1. 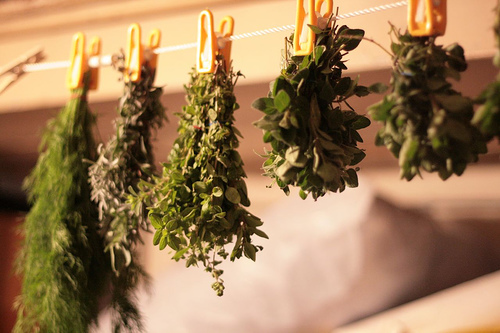 Dry them upside down by hanging them in a warm place. They will last for months and taste much better than what you get in those jars of dried spices. 2. Make a flavoured oil. This takes two seconds. All you have to do is take a mortar and pestle and crush the herb for 30 seconds. If you don’t have a motar and pestle, you can use a blender but the problem with a blender is that it needs a larger quantity of spices to work effectively. A quality blender will minimize problems, but it is less effective than a mortar and pestle when small amounts of herbs or spices are needed. Next add some salt and a cheap olive oil to the crushed herbs. 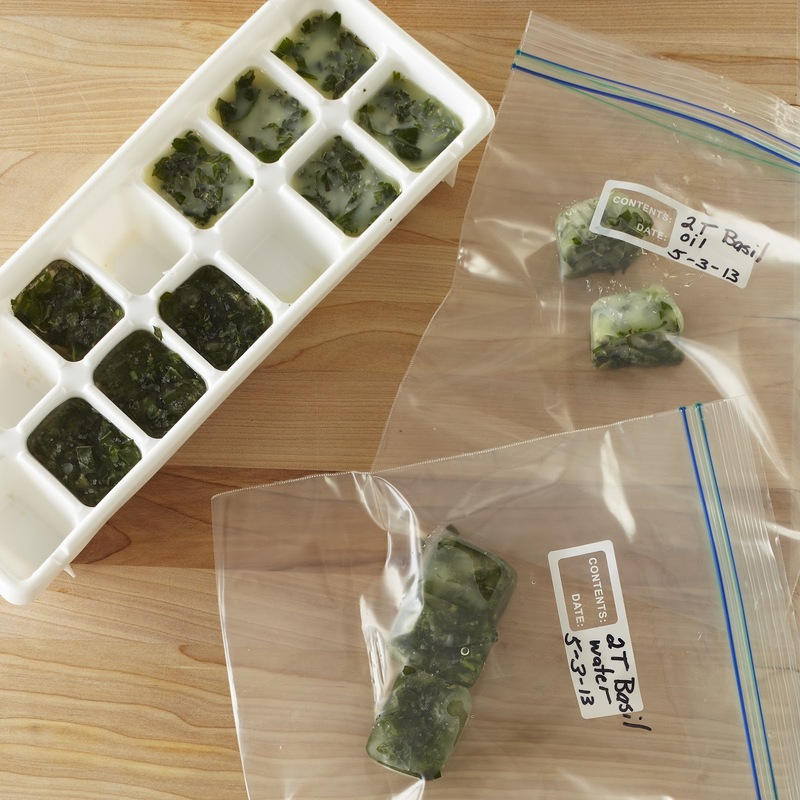 Once you’ve done this, you can either store your oil in a translucent jar or pour the mixture in ice cube trays to freeze. You can add these blocks add any point in cooking. Add some while sauteing a stir fry or before you cook salmon in the oven, as in my cilantro ginger salmon recipe. 3. Make a flavoured spread or dip. Jamie Oliver makes a flavoured butter in his T.V show. However, I would like to put a little dietitian spin on and suggest making a flavoured greek yogurt dip! All you need is some plain greek yogurt (preferably 0% or 2% fat), add some chopped parsley, cloves of garlic, basil and chili peppers and you have youself a lovely healthy dip! 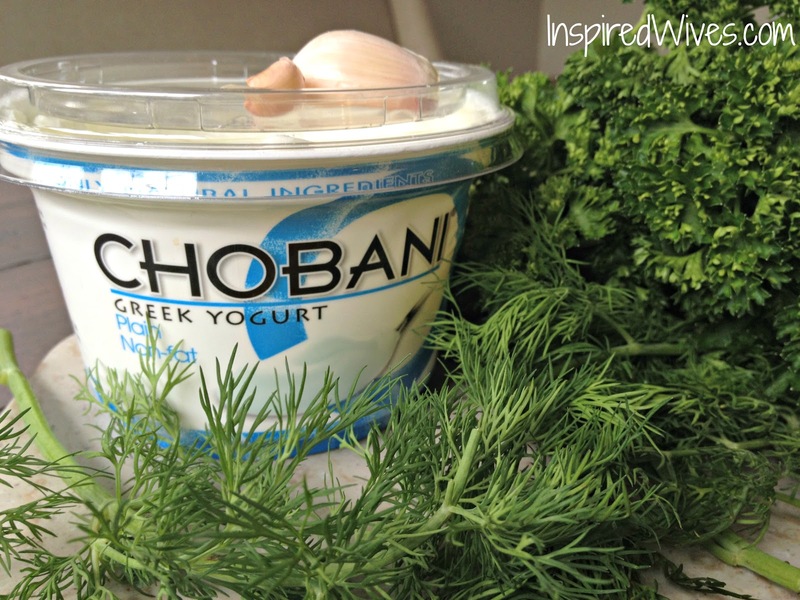 Perfect with fresh vegetables or whole grain pita bread. Next Why a Plant-Based Diet?